These professional quality 8.5x11 page sheets fit Itoya and most other refillable multi-ring presentation / storage binders. Packs include 10 sheets. 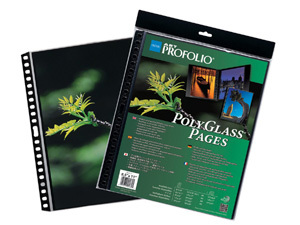 These professional quality page sheets also fit Itoya Multi-Ring Binders and most other refillable multi-ring presentation / storage binders.